There has been an inn, known first as the Blue Bell Inn, near the top of the serpentine Bland’s Cliff since at least 1776. 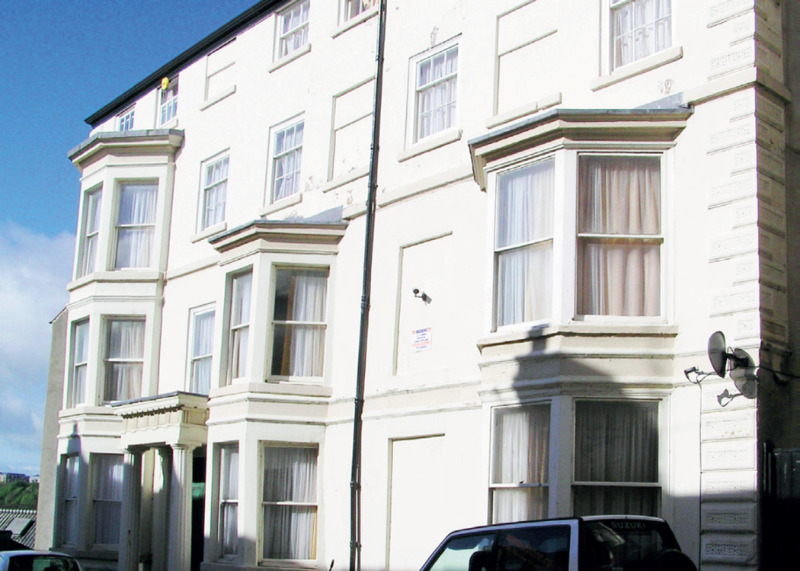 Later, as the Bell Hotel, it was one of Scarborough’s principal coaching inns. The Bell not only accommodated those who came to sample the Spa waters but was also the station for the prestigious daily Royal Mail coach to York, among other regular coaching services. When the railways overtook the horsedrawn coaches, the nobility and gentry had already moved elsewhere to seek their pleasures, and the Bell was forced to adjust to changing circumstances. In 1839, the ‘commercial gentlemen’ who serviced the expanding town’s many trade outlets, could obtain full board – with ‘mountains’ of food included – for six shillings a day. One such distinguished guest was Dr Granville, the celebrated ‘Spa traveller’. As the 19th century progressed, holidaymakers also helped to fill the hotel’s bedrooms right up to the late 1930s. A reminder of the bustling coaching days can still be found in the adjacent Prospect Place. Note the clipped brickwork on the end wall of No. 7, where careless coachmen sometimes misjudged the distance. Together, the foursquare Bell Hotel and Prospect Place make up a unique 18th century enclave on the edge of the Old Town area. Another former coaching inn (now flats and offices) was the Talbot Hotel, 14 Queen Street. You will pass it on the way back to town at the end of the Heritage Walk. 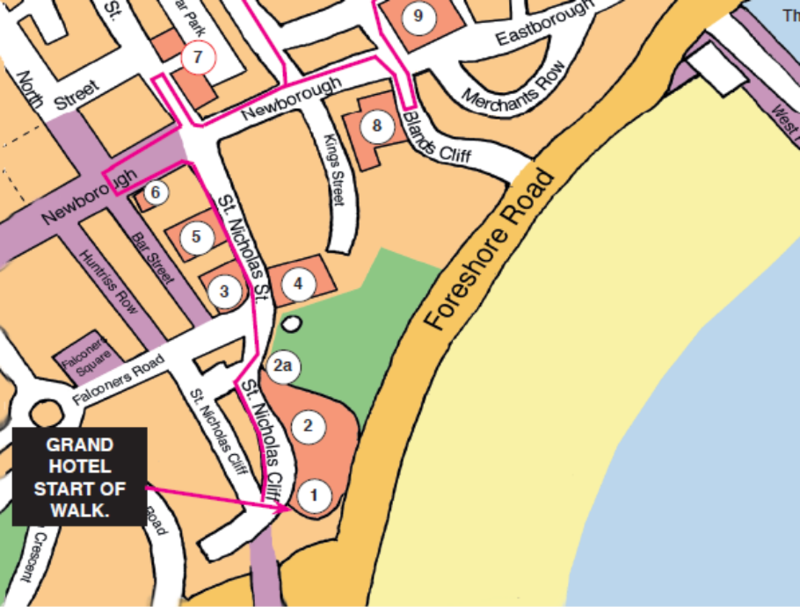 Returning now to Newborough, cross the street and enter St. Helen’s Square, which is almost opposite Bland’s Cliff. You can now see the massive proportions of the 19th century Market Hall on the right-hand side.